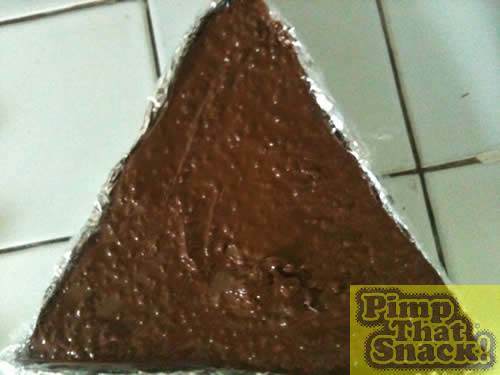 Step 1: Make a triangle mould from cardboard. 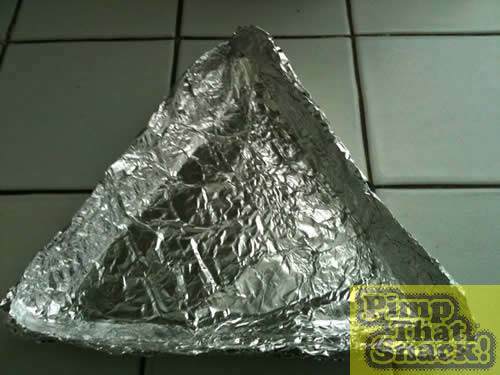 A snooker triangle makes an excellent template! 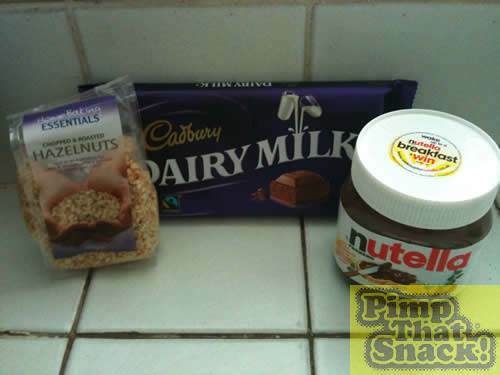 Step 2: Gather the really simple ingredients; milk chocolate, hazelnut spread and hazelnuts. Try not to eat any of the yummy ingredients before getting started! 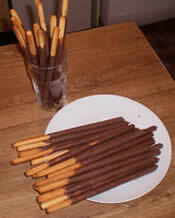 Estimated cost: £5, but can be done cheaper with unbranded chocolate and spread. 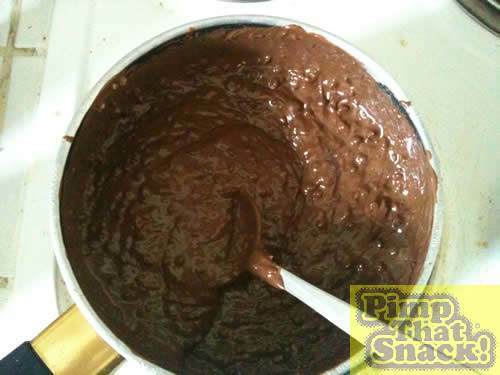 Step 3: Melt some of the chocolate and the hazelnut spread in a pan, stir in as many chopped hazelnuts as you like. Step 4: Pour the delicious molten chocolate mix into the mould. 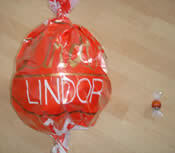 Try not to burn your mouth on it when tasting. 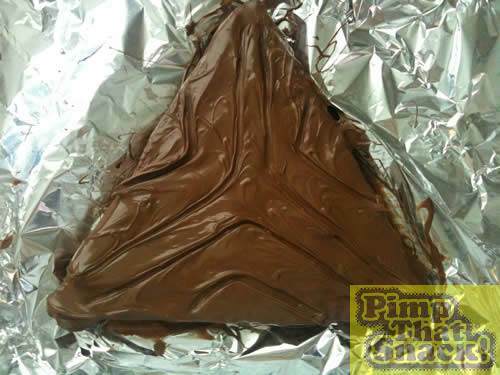 Step 6: Melt the rest of the chocolate and spread over the now solid triangle. 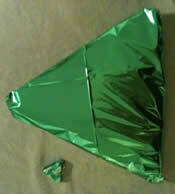 Leave to set for a while until almost solid, then mark on the 'boomerang' shape found on the original green triangle. 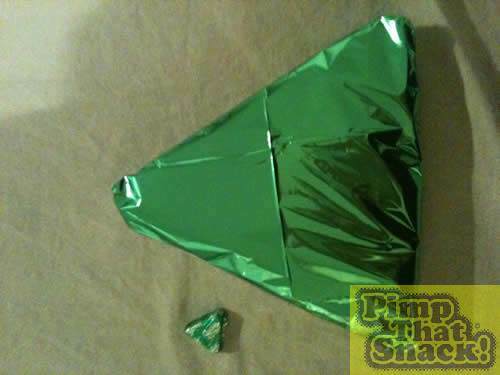 Step 7: Wrap in green foil for the authentic look.